President Muhammadu Buhari will be a major determinant in who becomes the next head of the Senate and chairman of the National Assembly, a member of the upper legislative chamber, Ovie Omo-Agege, said on Wednesday, March 6. 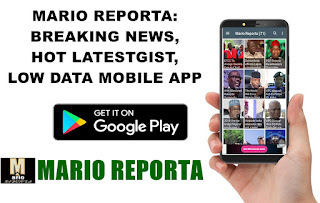 Omo-Agege who represents Delta Central senatorial district, said this while speaking with the News Agency of Nigeria (NAN) in Warri, Delta state. The senator said the Buhari and the ruling All Progressive Congress (APC) would avoid the 2015 mistake that led to the emergence of Sen. Bukola Saraki as the president of the Senate. ‘‘Anybody who is going to be Senate president, in the 9th Senate, must be somebody who is loyal to Mr President, the party and the constitution. ‘‘The Senate president will be determined by Mr President. Mr President will indicate to us through the party who he want to work with,’’ Omo-Agege said. He claimed he was not aware if the APC had zoned the position of the Senate president to any region of the country. "But what I can tell you is that we are going to have a Senate that will work with Mr President. "The era of allowing renegades who rode on the back of Mr President, who rode on the back of the party to go in there and trade the party’s mandate, I think that era is gone. "I am very hopeful that this time around, Mr President will step in and decide not only the zone that will produce the Senate president and the leadership but also who should be. "We don’t want to erect another opposition leader in the Senate, as we had in the 8th Assembly. "There are a lot of us in the Senate who are returning to the next senate who fits into that position. We are so many but any decision the president makes, we will all fall in line and abide. ”We want President Buhari to succeed and it is all in our place, some of us who are close to him, to tell him certain calls he should not make because we know ourselves in the National Assembly and we do not want a repeat of the Saraki saga as we go back to the ninth Senate." he said.